Many people who have a website or have spent any time trying to understand online marketing have come across the vague term “meta tag”. For those of you who have spoke to someone regarding online marketing, it’s possible that they threw around some fancy technical-sounding terms during the meeting to make themselves sound like they know what they’re talking about – possibly just to make your head spin so they can be left alone to do their job while you write the checks. I’ve seen it many times before and I actually had a client ask me the other day why we didn’t have meta tags on their pages. So, in the spirit of educating all of our current and potential clients, let me tell you what a meta tag is and when it should be used. Wikipedia describes a meta tag (or meta element) as an HTML or XHTML element used to provide structured metadata about a Web page. Well, that’s clear as mud, right? Let me describe it in layman’s terms. Basically a meta tag is a short line of code that’s placed at the top of a web page that provides some information about the page. 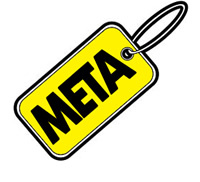 There are different types of meta tags depending on the type of information you want to provide or what you want to accomplish – the most popular being the content type, description, keywords, author or even an automatic redirect to another page! There are many uses and endless tags depending on your exact needs. You can do a search for meta tags on Google and it’s a simple process of copying and pasting the information into the header of your page, changing out the relevant information and updating the page. In the recent past, search engines relied heavily on meta tags to determine what the page content was about. This is obviously very important because search engines want to return the most relevant search results possible. To do this, the keyword meta tag was filled with terms relating to the content of the page and it helped the search engines understand and rank that page better. As you can probably guess, this tag was quickly abused through a process called “keyword stuffing” and the tag basically became useless due to people’s inability to follow the rules. You had people putting the word Walmart in the keyword tag even though they were a mom and pop shop on Main Street. So obviously the the search engines had to find a better way and they did so quickly. Google was one of the first to develop an algorithm that considered not only what was on the page and in the code, but what are called “off site” factors that are much harder to influence. That discussion is for another post though. When search engines first came on the scene they were like infants. 15 years ago, your son or daughter probably couldn’t read so you had to show them basic pictures and letters, speak to them in short, descriptive words, point and explain things to them so they could understand. This was the purpose of meta tags when search engines were in their infancy. If a webpage was about your dog, you would put the word “dog” as a keyword in the keyword meta tag. If you had a black Cocker Spaniel then the tag could say “dog, dogs, dog breeds, Cocker Spaniel, black” etc. and the search engines would determine that the page probably had something to do with the Cocker Spaniel dog breed and more specifically your black Cocker Spaniel. It would then display it in the search results for anything related to these terms. Today, the search engines are extremely intelligent. So intelligent in fact that they not only know what a page about, but they can determine if it’s written properly, if it reads like a real human would write, if words are spelled correctly, if the code behind the scenes is written well, and if the content relates to any of the other content on your website. 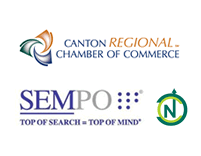 The search engines are WAY smarter than we know and due to people’s need to continually try to outsmart them, the ranking algorithms become more complex and intelligent each year. So, the days of putting some simple keywords into a tag on your page in the hope that it might improve your rankings is gone. In the case of the client that asked about their meta tags, we are currently optimizing their site for the search engines so obviously they had some concern when the tags were missing. Let me just say that there is no need for the keyword meta tag anymore and there are things that you should do with a page that are far more important. The description tag has also been downgraded significantly and is used only if you want to have complete control over the description that shows under your page title in the search results. If there is no description tag, don’t worry, Google does a pretty good job of pulling content from the page automatically for a description when it’s needed and the description meta tag doesn’t influence your rankings at all. In summary, if ranking in the search engines is your concern, don’t pay any attention to meta tags. The only tag that’s important is the title tag and it’s not even technically a meta tag! So, the next time you’re talking to someone about online marketing and they start throwing around fancy terms like meta tags and how they’re so important, feel confident that you’re talking to someone that hasn’t kept up with how things have changed over the years. Search engines are smart. You don’t need to treat them like infants any longer.